Political tensions continue to besiege Lesotho as the country’s police were told to abandon their posts to avoid being targeted in attacks. Earlier this week, Lesotho’s military disarmed two stations leading to the exchange of gunfire between the military, youths and police which injured one soldier and four policemen. The country’s military forces siezed control of the police stations when they heard that the Police will arm the demonstrators. Political crisis has plagued the nation since June this year when there was a power struggle after Prime Minister Thomas Thabane suspended Parliament to dodge a vote of no confidence. The US Department of State issued statement highlighting its concern over clashes between security forces today in Lesotho. US Department Spokesperson Jen Psaki said the US called upon government officials and all parties to remain committed to peaceful political dialogue and to follow democratic processes in line with the Lesotho Constitution and principles of the rule of law. 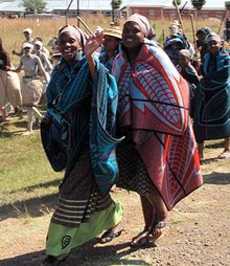 Lesotho formed its coalition government in 2012 after competitive elections that ousted the 14-year incumbent Pakalitha Mosisili. The coalition has been noted as fragile. Unrest and military coups are not something new in Lesotho since gaining independence from Britain in 1966. For seven years, the country was under military rule. In 1993, constitutional government was finally restored.